The time to put your skills to the ultimate test has arrived—the Legends Reborn event is NOW LIVE! The Legends Reborn event is NOW LIVE complete with new Event Dungeons, Bloomtime Jackpot Event, Systems & Items changes, and more! Full details of what’s in this update are outlined below. 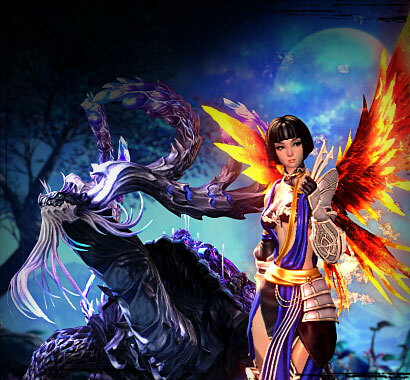 We recently showed off the Legends Reborn event on the Blade & Soul Twitch channel. Watch as we take you on a tour of what’s new! New event dungeons will test your stamina and skill. Emerge victorious by overcoming varying levels of difficulty to earn unique titles and achievements, as well as Legendary Orbs and Resurgence Emblems that can be redeemed for amazing rewards. Available for FREE in the Hongmoon Store and limited to one per account. Open the various stages of the Jackpot in this limited-time event to receive outstanding rewards to help you become stronger, as well as some beautiful costumes. 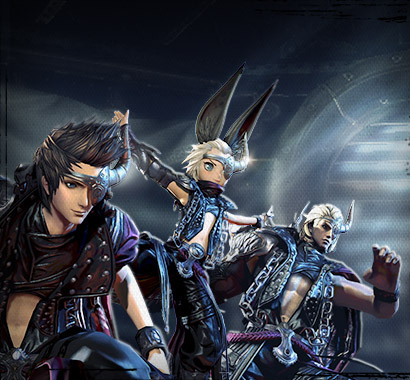 Several changes are being made to many of the systems and items in Blade & Soul, including the much-anticipated skill balance patch, lowered difficulty for certain Dungeons and Raids, new achievements, new Reward Selection chests, a new season of martial arts mayhem on the Shackled Isles, and much more! If you run into any issues with this update, be sure to check the Known Issues thread on the forums for things we’re already working on. If that doesn’t help, please contact our support department for further assistance. Worthy warriors should log in now to test their martial arts skills in the Legends Reborn event! "Legends Reborn" will be running from April 10th to May 8th. Complete the new event dungeons to earn event currency and claim your rewards. Complete "The Ring of Reckoning" quest to unlock access to the dungeon. It is a solo dungeon with a level 55 requirement and can be accessed in Mushin's Tower. "Bristle with Rage": Complete the First Round at the Ring of Reckoning. 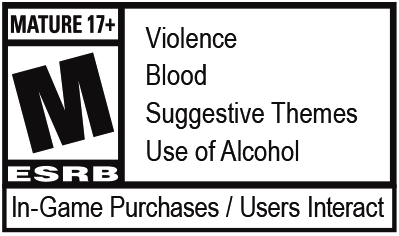 "Uncontrollable Rage": Complete the Second Round at the Ring of Reckoning. "All the Rage": Complete the Third Round at the Ring of Reckoning. Defeat Sacred Longgui - Stage 1 within the time limit to spawn a more powerful version of it, up to Stage 4. Defeat the Sacred Longgui in its final form and it drops Sacred Longgui’s Offering. Put the offering on the Brazier to spawn a Pig or Golden Pig that will reward you with Resurgence Emblems. Complete "The Writing on the Mausoleum Walls" quest to unlock access to the dungeon. It is a party dungeon with a level 55 requirement and can be accessed in F8. "Some Like it Desolate" (daily): Defeat Lord of Inferno. "Revived Fire" (dynamic): Defeat Lord of Inferno. It is a party dungeon with a level 55 requirement and can be accessed in F8. It is a more difficult version of the Desolate Mausoleum event dungeon. "Nightmare in the Blazing Fire" (daily): Defeat Unleashed Lord of Inferno. Rewards: 30,000 XP, 6,800 Reputation, 6 Resurgence Emblems. "A Death That Won’t Be Missed" (dynamic): Defeat Unleashed Lord of Inferno. Fleeting Forge Weapon (1-hour): Transmute the Longgui's Blade and Inferno Forge obtained from the daily quests to obtain this weapon. It is equivalent to a Celestial Weapon - Stage 9 and will help you clear the more difficult parts of this event if you are having trouble. Fleeting Flame Weapon Chest (1-day): It can be bought from the Dragon Express Event tab for 7 Resurgence Emblems and 5 gold. Bloomtime Jackpot - Stage 1 is available for free in the Hongmoon Store, limited to 1 per account from April 10th until May 8th. Open the Bloomtime Jackpot to receive various rewards, including the next Bloomtime Jackpot's Stage, up to Stage 10. There is a 10h cooldown between opening Bloomtime Jackpots. of obtaining it or getting nothing. Removing the ability to exchange Lovestruck Coins through the Dragon Express. Don't forget to use all your coins! Removing the ability to use Heart Nebula Stones. Extra rewards from completing the Weekly Challenge and Dynamic Quests for Skybreak Spires, Scion's Keep, Temple of Eluvium and Nightfall Sanctuary have been removed. You can still exchange Skybreak/Nightfall/Queen and Conqueror reward scrolls through the Dragon Express until May 8. Candycloud Park dungeon is now closed and cannot be accessed anymore. Blossom Orbs and Lunar Coins are not rewarded anymore from Heaven's Mandate/Cold Storage/Fallen Aransu School/Snowjade Fortress/Hall of the Keeper/Hall of Templar/Tower of Infinity. You can still exchange Blossom Orbs and Lunar Coins through the Dragon Express until May 8. Due to the change to "Blooming Crimson Flame", the existing buff indicator has been changed to display a maximum of 2 buffs instead of 3. Eliminate the Raven King in under 2 min. 30 sec. in Skybreak Spires. Eliminate the Hive Queen in under 3 min. 20 sec. in the Temple of Eluvium. Eliminate the Grand Celestial Emperor in under 6 min. 20. sec in Nightfall Sanctuary. A new hourly system message indicating how long you have been playing has been added. It can be turned ON/OFF in the setting menu. A new question mark icon has been added to most UI windows in the game. Mouse over the question mark to see a general description and list of features for each UI window. You can now sort clan members based on their last login time. An issue where the Costume Season Reward was only awarded to the top 10 players instead of top 30 has been fixed. Some of the Boss attacks in Hard Mode dungeons will now display telegraphs. Removed MSP from Mon/Tue/Wed/Thu Daily Challenges. It will still be available on Fri/Sat/Sun. Sacred Longgui Loot will be doubled from Friday 6am to Monday 6am server time. A new season will start on April 10 until June 12. Fixed an issue where some players were unable to resurrect. Fixed an issue where the end match window would not appear correctly. Custom Dreamcatcher, Custom Dreamcatcher Adornment and Custom Dreamcatcher Mask can now be purchased from Tower Trader Kangcha with Brood Challenge Tokens. The item exchange list for Tortoise Shells are removed from the Dragon Express. Tortoise Shells can be antiqued for 1 Designer Thread each. Unrefined Divine Dragon/Tiger Bracelets can no longer be acquired in-game and have been replaced with Divine Dragon/Tiger Bracelet - Stage 1 instead. Existing Unrefined Bracelets can be processed as Antiques for 5 Yunsang Prayer Beads. The cost to open a Divine Dragon/Tiger Bracelet Chest has been removed (previously: 1 Brilliant Key). The Unrefined Divine Dragon/Tiger Bracelets offering required to switch between Divine Dragon/Tiger Bracelet Stage 10 and their Awakened version has been replaced by 5 Yunsang Prayer Beads.